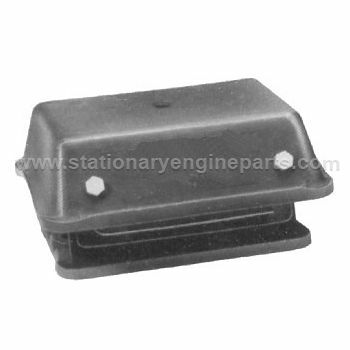 Anti Vibration Mountings (AVM's) consists of two sandwich pieces. These two pieces are housed in a specially designed robust iron casting. The mountings are protected against oil as well as physical and mechanical damages. The AVM's give insulation against transverse, vertical and longitudinal vibration & reduces the transmission of vibrations, structure borne noise & shock from a wide range of rotating and reciprocating machinery. AVM's can also be used to protect sensitive apparatus from external disturbances and provides insulation against out of balance forces. These mountings have very low natural frequencies up to 5.5Hz & have very good lataral stability. For low disturbing frequencies, high deflection can be achieved by screwing two cusyfoot mounting together. No need to bolt the machine directly to concrete or chassis etc. No need of grouting in rag bolt to concrete. The cushyfoot mounting can be supplied with bottom friction Pads to avoid costly groutings/Anchoring to floor the equipment. Additionally shifting of the location of the instrumentation with very less effects. 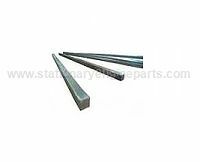 Inclined rubber sandwich are first grade natural rubber to metal bonded elements. Static deflection of upto 5.2mm with loads from 80 to 320 kg per mountings. Diesel Generator sets including mobile sets.